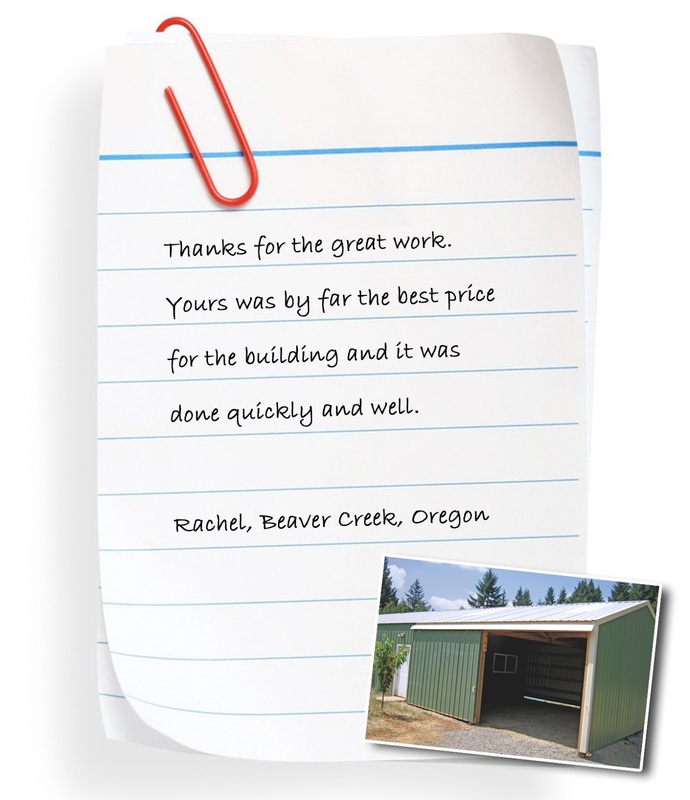 Customer Letter from Rachel of Beaver Creek, Oregon. 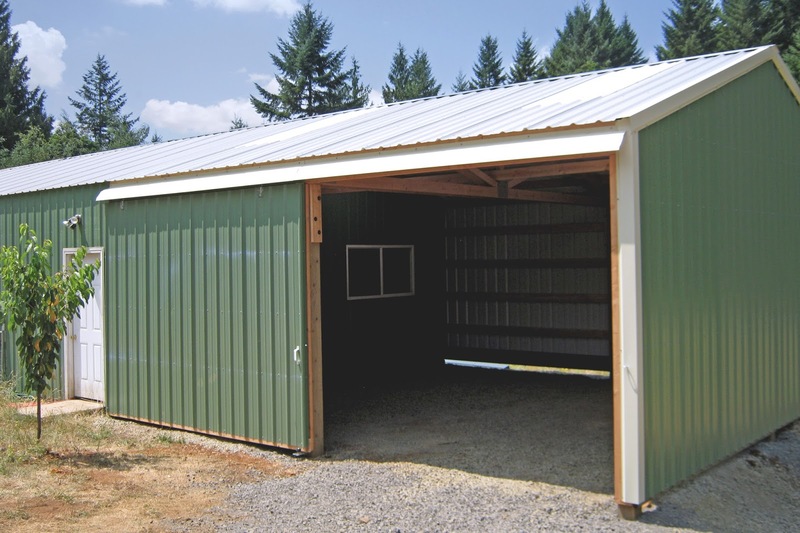 24' x 36' x 16' pole building with a lean-too in Gaston, Oregon. 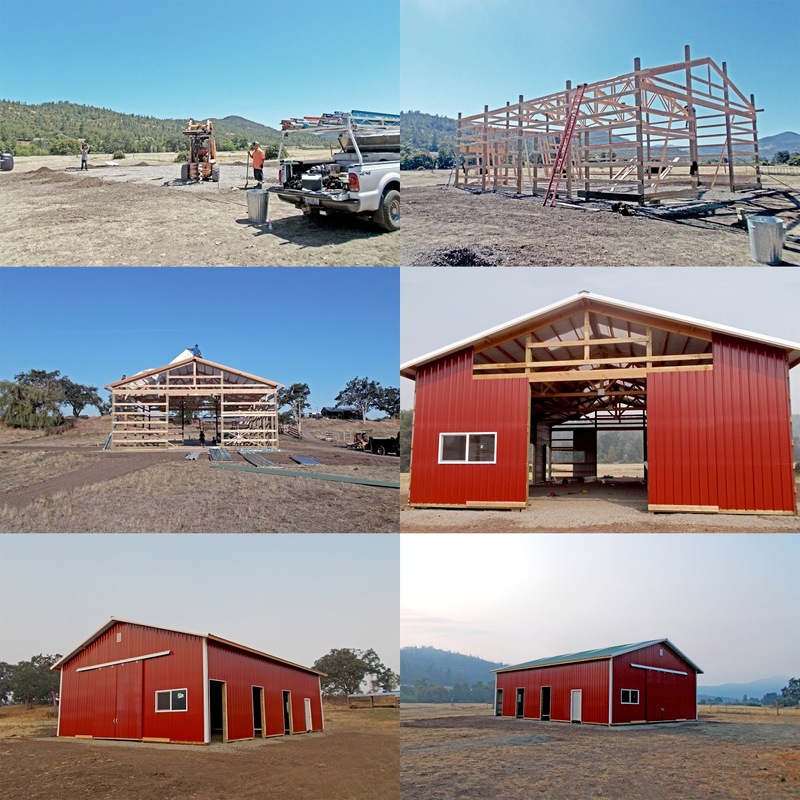 Progress photos of a 36' x 48' x 14' ag building in Eagle Point, Oregon. A job well done to Juan, Victor, Mike, and Josh who worked hard through 100+ degree weather and away from home. Customer Letter from Larry of Boring, Oregon. 12' x 36' x 10' lean-too added onto existing building. 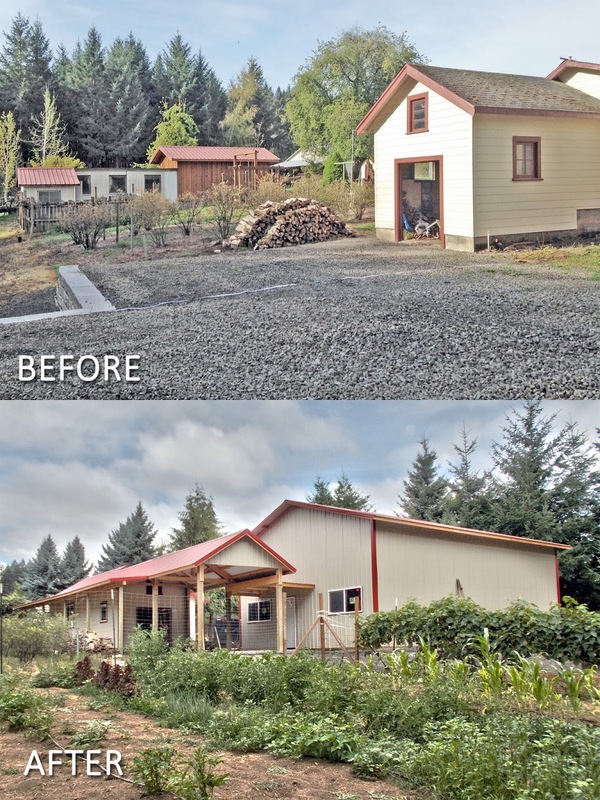 Before and after photo of a 28' x 38' x 15' pole building, plus a roof-only gable extension added onto an existing garage. We also added a walkway beside the existing garage and a breezeway between the buildings. 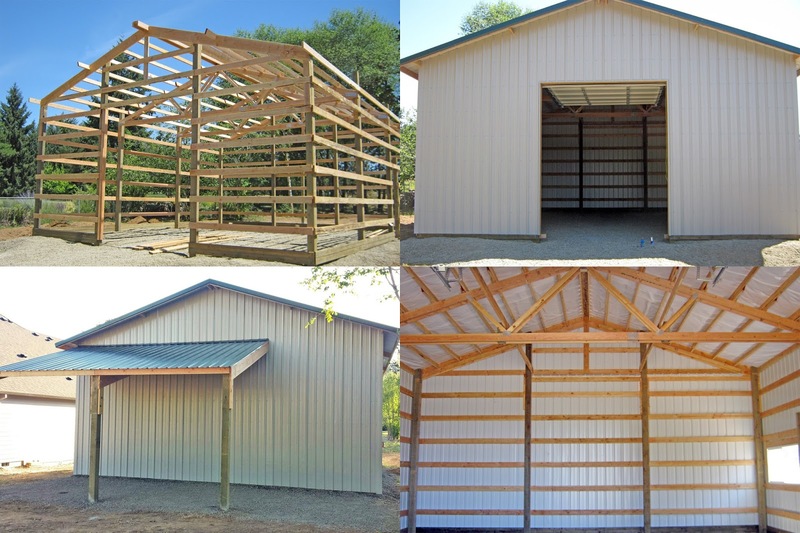 30' x 36' x 14' residential pole building with a 12' x 20' roof only lean-too off the back gable. 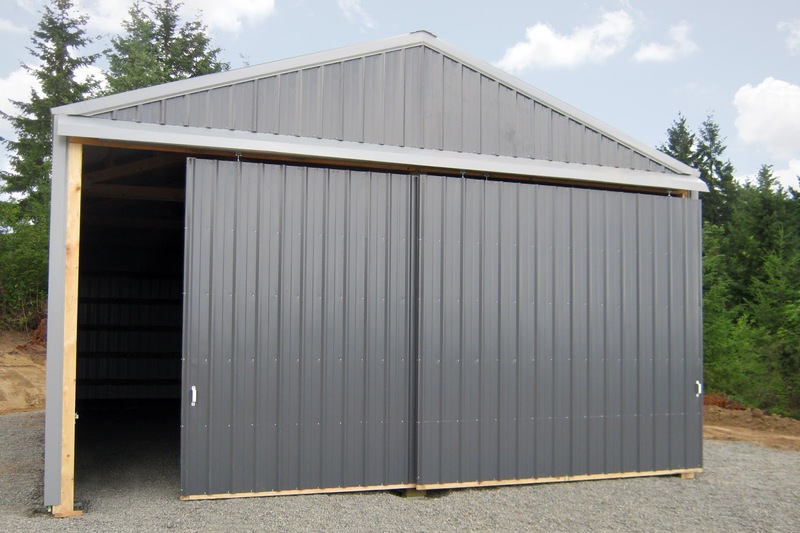 This building was constructed in Boring, Oregon by Josh, Greg, Robert and Victor. Nice work guys! 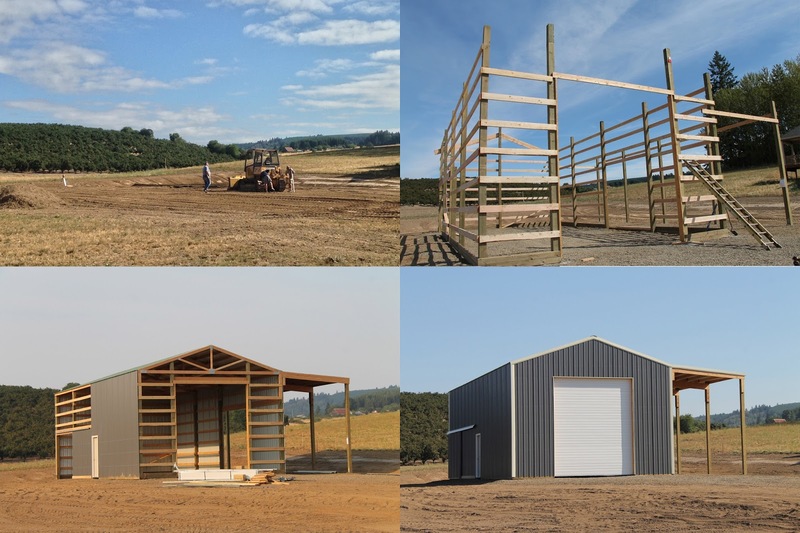 Here's a progress photo of a monitor building we're constructing in Hillsboro. What a great setting!